Seems like Hollywood is desperately looking for new sources of inspiration: there’s a live action Dilbert movie ahead of us! Yep, the satirical comic strip that poke fun at the corporate world is going to make it to the big screen. Director Ken Kwapis (who helmed a few episodes of the Office) has been hired to helm the project. I can understand the choice, but I’m not sure I agree with it… Dilbert is way deeper than The Office. 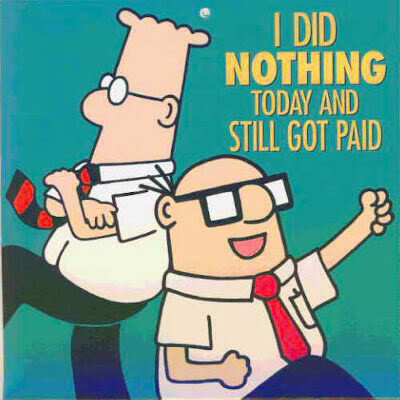 Need someone damn talented to make a successful adaptation of Dilbert! And who could play the role of Dilbert? And what about Dogbert? Are they goign to use CGI for Dilbert’s pet dog? Anyway, today I did nothing and still got paid! What about you?